Accelerator 2.0: A Call to Action provides insight into the challenges and opportunities that employers and their workforce in Alberta’s supply chain sector face as they adopt new "transformative" technologies. Such technologies include blockchain, artificial intelligence, robotics, automation, big data, the internet of things and drones. Information gathered through surveys, roundtables and secondary research from The Digital Supply Chain, a report published in January 2018, was the basis for discussion at seven community workshops across Alberta between January and March 2018. Those roundtable sessions—in Calgary, Cold Lake, Edmonton, Fort McMurray, Grande Prairie, Lethbridge and Red Deer—looked at the key emerging technologies that were likely to impact local companies, the perceived barriers to the adoption of those technologies, and any HR challenges related to the technology adoption. Participant input inspired and informed the content of the Accelerator 2.0 report. The report delivers a call to action for the supply chain sector in Alberta and for each of the seven regions covered in the research. The recommended action strategies discuss what policymakers, employers, educational institutions and individuals can do to stimulate innovation, remove barriers to technology adoption and, overall, improve competitiveness. This report was created through the Connecting People, Technology and Skills Project funded by the Government of Alberta Industry Workforce Partnerships. 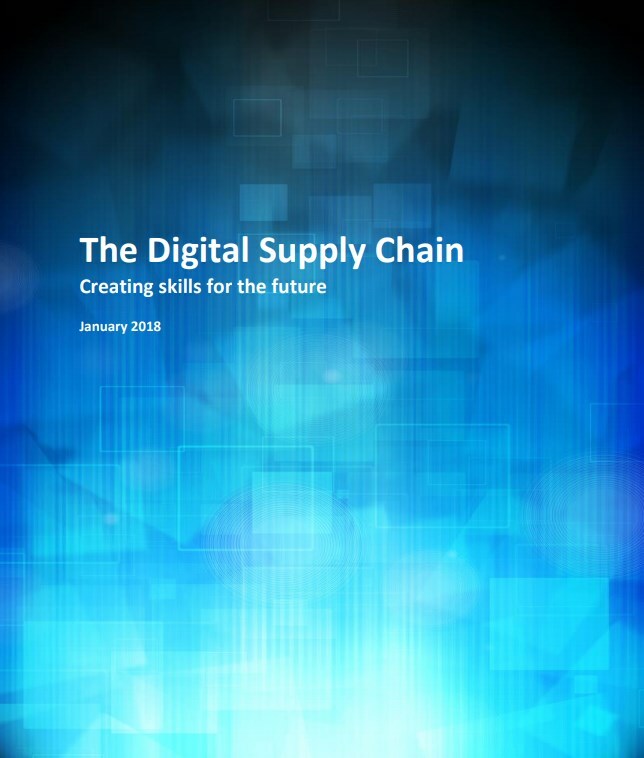 The Digital Supply Chain: Creating Skills for the Future looks at the expected impacts on human resources of six technologies being adopted in the supply chain sector: autonomous vehicles, robotics and automation, big data analytics, drones, mobility internet and the internet of things, and blockchain. projected impacts on skill sets required across supply chain roles. The research findings indicate that, based on projected changes in the sector over the next three to five years stemming from the increasing use of these new technologies, the labour force will need new skill sets. The top four skills that are expected to be required by supply chain professionals are strategic thinking and problem solving; collaborating across different business units, customers and functions; leading and developing others; and managing global and diverse teams.